Load can be adjusted by throttling suction, throttling discharge, adjusting inlet guide-vanes, varying speed, manipulating recycle and suction pressure. 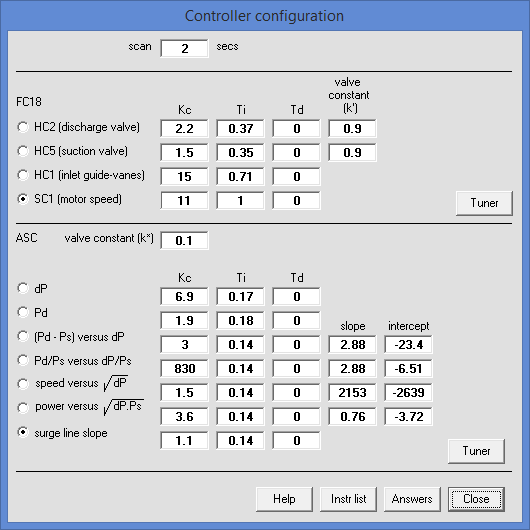 The user can develop control strategies based on each of these and investigate their impact on power consumption. 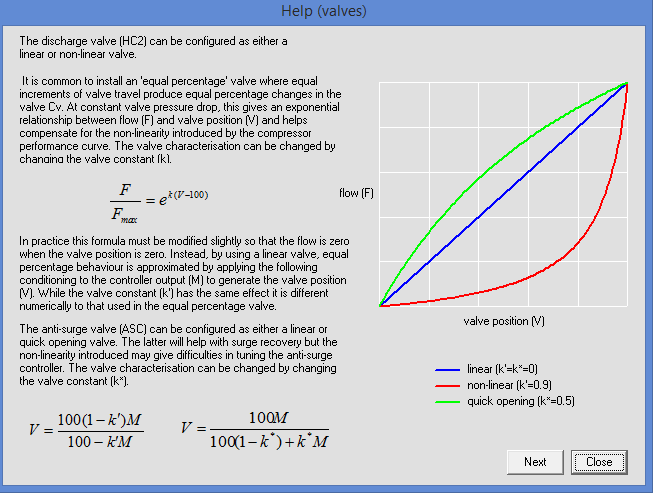 Linear, equal percentage and quick opening valves may be selected. 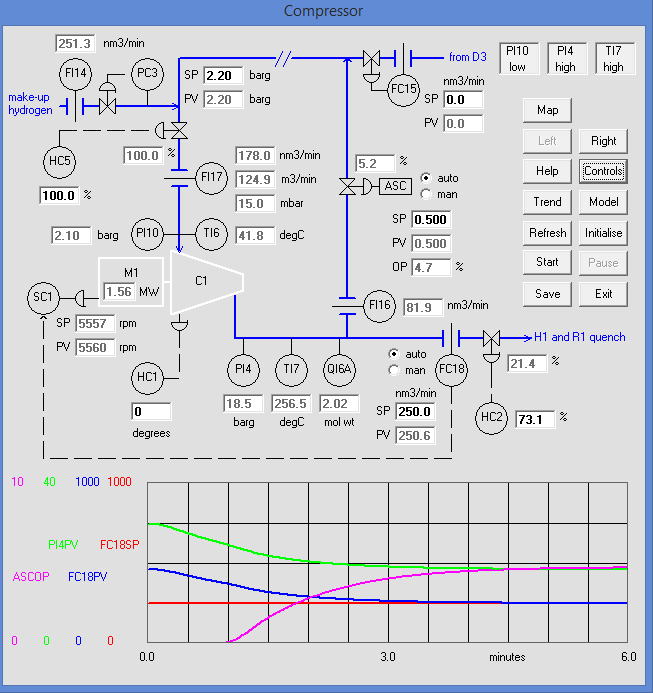 A variety of anti-surge schemes can be commissioned and each tested by varying suction and discharge pressures, gas flow rate and molecular weight. 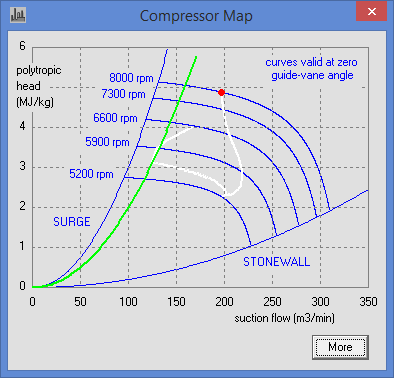 Operation can be continuously displayed on compressor performance curves, showing actual and assumed surge lines.